Yesterday, we talked about the Intel Medfield based phones going on sale today and as expected the Lava Xolo X900 has gone on sale in India. This is the first phone in the world to be on sale running on the Intel Medfield platform. 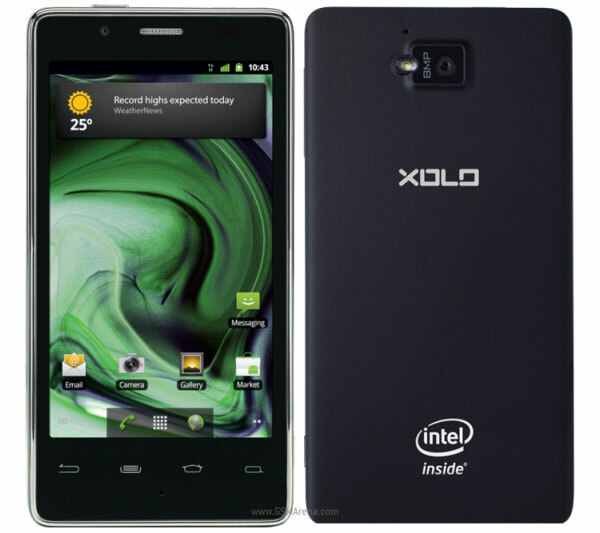 The Xolo X900 has a Atom Z2460 SoC that includes a single-core 1.6GHz Saltwell CPU with Hyper-Threading, PowerVR SGX540 GPU clocked at 400MHz and 32-bit Dual channel LPDDR2 memory. Other features include 4.03-inch display with 1024 x 600 resolution (295 PPI), 8 megapixel rear camera with flash, 10fps burst mode and 1080p video recording, 1.3 megapixel front camera, 1GB RAM, 16GB internal storage space, HSPA+ connectivity up to 21Mbps, HDMI out and NFC built-in. Unfortunately, the phone will be sold with Android 2.3 Gingerbread at launch, although an Android 4.0 update is in works. The Lava Xolo X900 is priced at ₹22,000 ($423/€323) and you will be able to purchase it from Croma or Lava's website. howz is the service ..? i m realy attracted toward this phone but my frndz are telly me not too buy it ... and is it good or lg optimus L9 is good . ?